Nancy Stewart and I did a weekly radio talk show on Seaview Radio in North Palm Beach for 7 years, took a year off, and now we’re back on the radio with a 2 hour weekly talk show, Earl Stewart on Cars, every Tuesday from 4-6 PM. You can tune in this show at “900 AM the Talk of the Palm Beaches” or you can stream it at www.StreamEarlOnCars.com. Every week we send a mystery shopper into a South Florida car dealership that pretends to buy or lease a car. I discuss the results on my radio show every week. This information allows me to build a dealer database of information that is very beneficial to you when you go out to buy or lease a car. Because my information from a year ago is somewhat dated, I’m beginning a new list of dealers I recommend and those that I don’t. I use information in addition to the mystery shopping reports in constructing this list including my personal acquaintance with certain car dealers, Google ratings and other business rating services, and input from customers of these dealers. I get a lot of emails, letters, and phone calls from people that have been taken advantage of. I also get some calls from customers of dealers that received good treatment. I encourage you to contact my with any information about your recent car buying experiences. My email address is earl@estoyota.com and you can call or text me at 561 358-1474. Finally, I look at dealers who are affiliated with TrueCar, www.TrueCar.com. In full disclosure, I’m a TrueCar dealer, stockholder, and a member of their national dealer council. Being a TrueCar dealer doesn’t get a dealer on my Good Dealer List, but it is a positive sign. AutoNation is the dealership group in the USA with about 250 dealerships. There are a large number in South Florida. I admire and respect Michael Jackson, the CEO of AutoNation and believe he encourages his dealerships to do the right thing by their customers, but just like TrueCar, there are AutoNation dealers who don’t qualify for my Good Dealer List. Mike Jackson can’t personally police 250 dealerships. I also encourage car dealers to contact me with information as to why they should be on the Good Dealer List or why they should be removed from the Bad Dealer List. I have a large following in South Florida and I honestly believe that being on the Good Dealer List would be good for business. In fact, I would be happy to meet with any car dealers who would like to sit down and discuss this with me. I’m releasing these lists before they are finished because of the large number of requests I’m getting from the public. Please understand that this list is not complete and is a “work in progress”. Dealers that appear on these lists will be supplemented and some will be deleted. I strongly urge you to let me know of any experiences that you’ve had with any dealers on either list, good or bad. Finally, please be advised that being on the Good Dealer List doesn’t mean that you can “let down your guard”. The dealers on this list are the better than others but none have received an A+ rating from our mystery shopper. The 2nd best score on this list was Gunther Volkswagen of Delray with a B+. Some of these dealers have received C and C- scores. I’m hoping to see all the scores improve on this list, but sadly, the average car dealership in South Florida is not nearly as good as it can and should be. Finally, I debated with myself long and hard about including my dealership on the Good Dealer List. Doing so gives the appearance of being self-serving. In fact, it is self-serving. I admit this but that is not why I included it; I did so because I honestly believe we are a Good Dealership. I give my dealership an A- rating because I know we can improve and we will. It occurred to me that the same recommendation applies to all companies, not just car dealerships and it applies to all departments in a company. Whichever car dealership you choose, take the time to pick and choose those individuals you deal with. Car dealerships, just like other organizations, are nothing more than the sum of their parts…their people. You should get to know the person who sells you service and, if you don’t like him, ask for another person to handle your service requirements. You should also meet and cultivate a manager in the service department. My purpose in writing this column is in realization of the fact that there are no perfect companies, especially car dealerships and that includes mine. I employ 150 individuals and I would be less than candid if I didn’t say I have a few rotten apples in my barrel. Unfortunately, I don’t know who they are and finding them is a continuous work in progress. The same thing applies to all companies including car dealerships. In my list of recommended dealers, there are some employees of those dealerships who would take advantage of you but most would not. 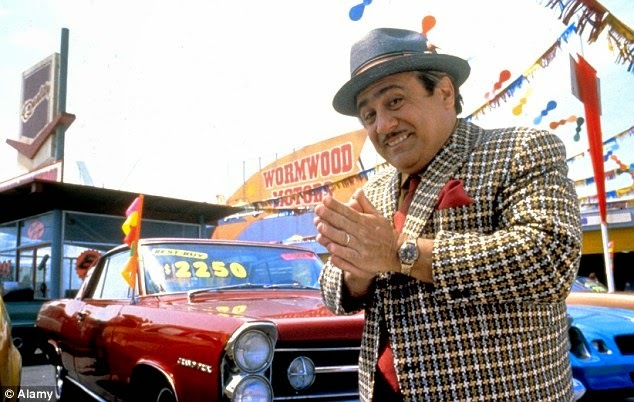 In those dealerships that I recommend you don’t buy your car from, there may be a few honest, courteous employees. Then there are all the dealerships that I don’t put in either category. Your odds of finding the right individual are much better if you patronize a good company or car dealership, but don’t totally let your guard down. Last Friday, the New York Times ran an article entitled “GM Deems Steering Issue Unworthy of Recall’. In the article is a quote from one of many GM owners who wrote the NHTSA on this problem: “I was driving through a construction zone when my steering wheel locked up,” the owner of a 2013 Buick Verano wrote the National Highway Traffic Safety Administration in December. The owner is one of more than 50 who cited a similar problem to the agency. Clearly, this is a serious and frightening issue; so why isn’t GM issuing a recall? Last July, G.M. sent dealers a technical service (TSB) bulletin that told them how to fix the problem, but only if an owner complained to a dealer. This practice in not unique to General Motors; all manufacturers employ TSB’s. They are sometimes referred to as “secret warranties” because the manufacturers don’t notify the owners of the cars that are affected and they even forbid the dealers to advise the customer. The reason that auto manufacturers don’t tell their customers and won’t allow car dealers to tell them either is clearly to keep down their expense of repairing these vehicles. They are afraid if they go public with the manufacturing defect too many customers will come in to have the repair made. And the reason manufacturers advise their dealers not to tell the customer unless the customer complains is that they simply don’t trust their dealers to be honest about fixing cars that need repair. There are voluminous numbers of TSB’s sent out, around 20 monthly depending on the manufacturer. It’s close to impossible for a car dealer’s service personnel to keep up with most of them. 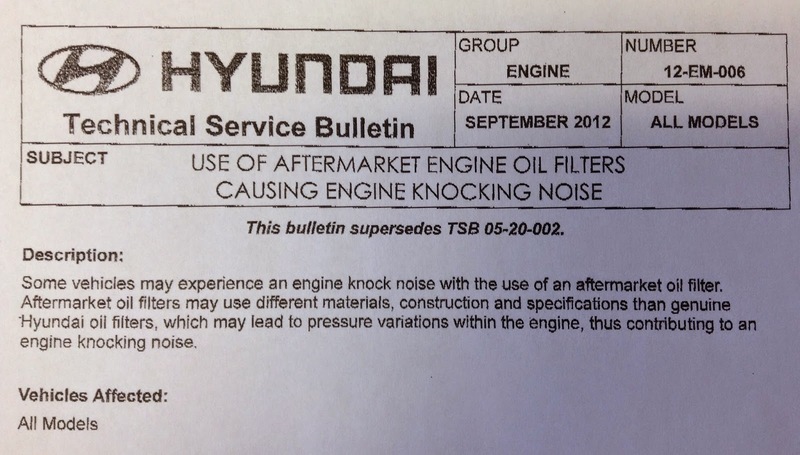 In other words, when you drive your car into a car dealer’s service drive, there’s a good chance that the service advisor/salesman has no idea that there is a Technical Service Bulletin issued on your vehicle. If he happened to know that there was one issued, he is forbidden by the manufacturer to tell you about it unless you complain! The NY Times article was written because the writer felt that this GM problem of a steering wheel sticking should have been considered a safety defect. A safety defect, by law, must be addressed by a recall of all affected vehicles. I can’t understand how GM or any auto manufacturer would not consider a problem with a steering wheel sticking not to be a safety issue. GM argued that all the driver had to do was to apply additional force to “unstick” the steering wheel. This may be true, but how would some people react to a steering wheel that was stuck in one position? A young, inexperienced driver, an elderly driver, or a very nervous, excitable driver may overreact by yanking the steering wheel too hard or freezing. I think the point to be made is that the decision on whether a defect is a safety issue or not should not be made by the auto manufacturer; it should be made by the National Highway Traffic Safety Administration, NHTSA. Every Technical Service Bulletin, TSB, should be shared with NHTSA and they should make this determination and order the manufacturer to recall all defective vehicles on safety issues. Many recalls began with the TSB. Rather than seriously analyzing the defect, the manufacturers issue the TSB which NHTSA and most owners of that particular car never learn of. In fact, due to the high volume of TSB’s most dealers are unaware of them too. The manufacturers wait until they have a large number of complaints from customers and until they can count a number of injuries and/or deaths before they issue a recall. The NHTSA began looking into this issue with GM 5 years ago and recently concluded its investigation after reviewing 3,465 complaints from owners including allegations of 107 crashes resulting in 40 injuries. One can only speculate on why the NHTSA would not order a recall at this point of crashes and injuries. There is dissention in the NHTSA over this decision and, I’m guessing, a recall will be issued soon largely due to this NY Times news report. What can you do to protect yourself until this issue is rectified? First, ask your car dealer to see if there are any TSB’s issued on the specific year-make-model car you drive. He will look in his computer for this. Secondly, I also recommend that you go on the Internet and Google the question. You can input your VIN and the year-make-model and ask are there any Technical Repair Bulletins TSB’s? If there is one or more TSB’s on your car, you should demand that that the car be repaired as indicated by the TSB. There is the possibility that the defect is not detectable at this time and mileage of your car and also the possibility that it will not manifest itself at all. My recommendation is that if there is any question about whether the defect exists, insist on having the repair made. The cost is covered by the manufacturer as long as the vehicle is still covered under the factory warranty (in terms of time and mileage). However, many manufacturers will offer assistance with TSB repairs to owners if their vehicles are out of warranty, so make sure you ask! Tell Your Car Dealer to be Nice! 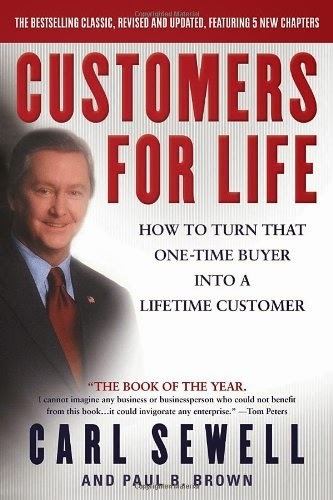 About twenty-six years ago a car dealer in Dallas, Texas wrote a book entitled Customers for Life. His name is Carl Sewell and the book describes in detail why treating your customers with care, courtesy, respect and dignity is the surest way to success in the retail automobile business. Carl Sewell was ahead of his time then and he’s “still” ahead of his time. When I first read this book many years ago, I wished that I had written it myself. I learned a lot from Customers for Life and it had a major impact on my business and my life. If you would like a free copy of this book, just go to my Web site, www.EarlStewartToyota.com, click on the link under the picture of the book where it says “complimentary copy click here”. Some of the chapters in the book are “The customer will tell you how to provide good service, if the customer asks, the answer is always yes, there’s no such thing as after hours, under-promise and over-deliver, and you can’t give good service if you sell a lousy product. When you read this book, you should have a pretty good idea of how you should expect to be treated by your car dealer, or any retail business establishment.